The number of people in the UK who smoke has reduced substantially over the past five decades from as high as one in every two people to fewer than one in six people today. Despite this substantial reduction, this is still far too high. Smoking remains a leading cause of death and disability across the globe1. Smoking in pregnancy is associated with a significant number of harmful effects to unborn infants including miscarriage, reduced birth weight, and placental abruption. Encouraging and supporting women and partners to quit smoking during pregnancy is therefore one of the best things a women and partner can do to give their unborn child the best start in life. Quitting smoking in advance of becoming pregnant is the best option, however it is never too late to stop smoking. 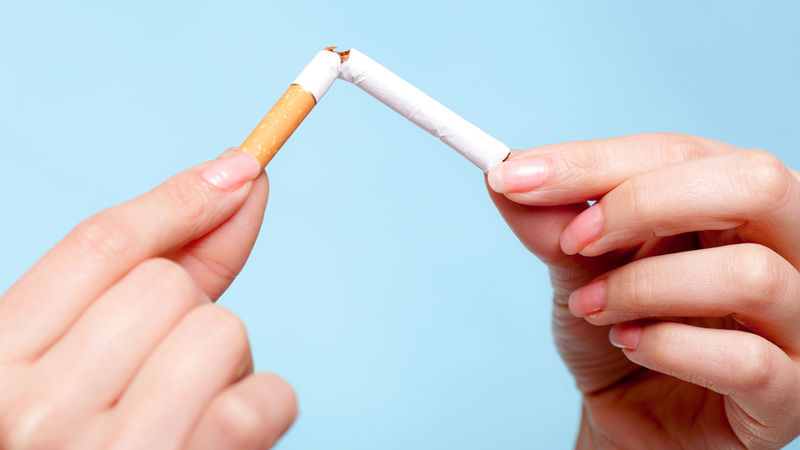 There are a number of effective smoking cessation services available that can be accessed either through a referral from your primary care physician (GP), by phoning your local NHS Stop Smoking Service to make an appointment directly with an advisor2 or online.There is substantial information and support available through the NHS Smokefree3 website. There are a number of interventions that have been found to be effective in helping smokers quit successfully. The intervention best suited to the individual will depend upon their motivation to quit, personal preference, what they have tried in the past and if there are any medical reasons to avoid one intervention method. Your primary care physician or stop smoking advisor will discuss these options with the individual and decide together which method is best to begin with. NRT such as varenicline or bupropion is one effective aid to support people to stop smoking, found to be most effective when combined with education about the harms of smoking, support and enrolment in a smoking cessation service. NRT is designed to substitute smoking, to provide the nicotine in reducing doses and to ‘wean’ the smoker off tobacco. It is important to note that nicotine itself accounts for a large proportion of decline in gestational age during pregnancy.6 It is therefore stated and agreed that there is no ‘safe’ level of nicotine during pregnancy.7 Because of this, pregnant women should use other methods to try to stop smoking before NRT. Self-help is an intervention where the individual seeks a manual or support in written format, either hard copy or electronically online. This is done without the help of health professionals or counsellors and individually. With the growth of the internet, online materials are of increasing use and can be targeted to specific demographics. However, self-help in isolation, without the addition of other interventions, is the least effective method to successfully quit smoking. E-cigarettes in pregnancy are discussed in detail in the My BabyManual article: E-cigarette risks in pregnancy. Briefly, “E-cigarettes” or Electronic Nicotine Delivery Systems (ENDS) simulate the smoking experience by ‘vaping’ a mist which contains water, propylene glycol, vegetable glycerine, and usually nicotine and a range of more than a thousand flavourings. As e-cigarettes have only been widely used for a few years, uncertainty remains regarding the effectiveness of e-cigarettes as a smoking cessation tool when compared with conventional nicotine replacement therapy (NRT). Recent studies have found ‘positive’ findings in ideal conditions, however users were 30% less likely to successfully quit in many observational studies12 than conventional methods. Further uncertainty exists around the risk profile of e-cigarettes themselves, however in the UK, the Faculty of Public Health, Association of Directors of Public Health, and Public Health England13 all agree that e-cigarettes are likely to be less harmful to health than conventional smoking in those who cannot otherwise quit.However, given the nicotine content of e-cigarettes, and the infancy of the evidence, pregnant women should pursue traditional smoking cessation methods first when trying to stop smoking in pregnancy. 1. Forouzanfar MH, Alexander L, Anderson HR, et al. Global, regional, and national comparative risk assessment of 79 behavioural, environmental and occupational, and metabolic risks or clusters of risks in 188 countries, 1990-2013: a systematic analysis for the Global Burden of Disease Study 2013. Lancet 2015;386:2287-323. 4. Ferguson J, Bauld L, Chesterman J, Judge K. The English smoking treatment services: one-year outcomes. Addiction (Abingdon, England) 2005;100 Suppl 2:59-69. 5. Bryce A, Butler C, Gnich W, Sheehy C, Tappin DM. CATCH: development of a home-based midwifery intervention to support young pregnant smokers to quit. Midwifery 2009;25:473-82. 6. Services UDoHaH. A Report of the Surgeon General: Highlights: Overview of Finding Regarding Reproductive Health. Atlanta US Department of Health and Human Services, Centers for Disease Control and Prevention, National Center for Chronic Disease Prevention and Health Promotion, Office on Smoking and Health 2010. 7. Suter MA, Mastrobattista J, Sachs M, Aagaard K. Is There Evidence for Potential Harm of Electronic Cigarette Use in Pregnancy? Birth defects research Part A, Clinical and molecular teratology 2015;103:186-95. 8. Solomon LJ, Secker-Walker RH, Skelly JM, Flynn BS. Stages of change in smoking during pregnancy in low-income women. Journal of behavioral medicine 1996;19:333-44. 9. Riemsma RP, Pattenden J, Bridle C, et al. Systematic review of the effectiveness of stage based interventions to promote smoking cessation. Bmj 2003;326:1175-7. 10. Lancaster T, Stead LF. Individual behavioural counselling for smoking cessation. Cochrane Database of Systematic Reviews 2017. 11. Stead LF, Carroll AJ, Lancaster T. Group behaviour therapy programmes for smoking cessation. Cochrane Database of Systematic Reviews 2017. 12. McKee M, Capewell S. Evidence about electronic cigarettes: a foundation built on rock or sand? BMJ : British Medical Journal 2015;351. 13. McNeil A, Brose L, Calder R. E-cigarettes: an evidence update: a report commissioned by Public Health England. Public Health England. 2015. • Smoking in pregnancy is associated with a significant number of harmful effects to unborn infants including miscarriage, reduced birth weight, and placental abruption. • NHS stop smoking services found a reported quit rate at 4 weeks of 40.5% amongst pregnant women. However, carbon monoxide monitors proved that women over-reported successful quitting. • Encouraging and supporting women and partners to quit smoking during pregnancy is one of the best things a woman and partner can do to give their unborn child the best start in life. • Phone your local NHS Stop Smoking Service to make an appointment directly with an advisor. • The smoking cessation intervention best suited to the individual will depend upon their motivation to quit, personal preference, what they have tried in the past and if there are any medical reasons to avoid a particular intervention method. • Evidence suggests that individual behavioural counselling is not effective in helping pregnant women to quit smoking. or perhaps in the context of smoking cessation at all. • Group counselling offers individuals who are trying to stop smoking the opportunity to learn techniques to quit smoking in a group environment. • Self-help in isolation, without the addition of other interventions, is the least effective method to successfully quit smoking. • There is considerable debate regarding the safety and efficacy of using E-cigarettes as an aid to smoking cessation during pregnancy so other methods should be tried first.